Water becomes our most precious currency during this time of year. With water, we hydrate, bathe, and cook. All these activities are necessary for our everyday lives. It can also be used for recreation and fun, especially during the summer. But with that fun comes an expensive water bill from your public water system. If you had a water well installed, you wouldn’t have to worry about that. 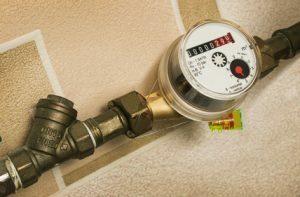 Are you still paying a monthly bill for your water? You’re paying a company that can raise and drop the price whenever they want. You’re also paying for low-quality water. Many public water systems deliver hard water to your home. This is water that is full of metals and chemicals that give it a strange, unnatural taste. It takes more than a cheap filter from the store to make water softer and you don’t expect the public utility system to take care of that for you. Ries Well Drilling Inc, an Orion Twp water well drilling company, can provide a source of water for you that is tested and appropriately filtered. You’ll taste, see, and even smell the difference. The best part is you won’t be paying a monthly bill because that water is yours and yours alone. Have you noticed your water pressure shifting between weak and strong during a fun summer day? This happens in some Michigan homes. With a personal water well, your well drilling company can include a water pressure system that is reliable and consistent. Your water will be constantly pressurized and won’t fluctuate. Now, your summer fun can go on without unexpected interruptions. These types of systems can determine how much pressure is needed and where. If there’s ever a moment you’re not satisfied with the system, your well drilling company will tackle the problem for you. You won’t have to wait on a plumber or call your public water system for an answer. You will be first in line and top priority if your water well ever has an issue. Personal water wells are durable and efficient, but nothing is perfect. The great thing about owning your water source is you can make sure everything is checked whenever you want. If you’re having issues with pressure or even a smell, just call up your well drilling company and they’ll attend to you ASAP. Fed Up With Your Public Water Service? Call an Orion Twp Water Well Driller. Ries Well Drilling Inc., an Orion Twp water well driller, has wonderful customer service, a great reputation, and has a long history with water wells. Get in touch with them to learn more about owning your own personal water well and how to get a free estimate today.